Stay powered up and connected with the clever Mophie Juice Pack Access. No matter how organized, we all encounter those dreaded moments like plugging in the phone overnight but forgetting to the flick the power switch on, and this case is for such times. Not only does it replenish your power at the push of a button but protects and allows complete access to your ports. 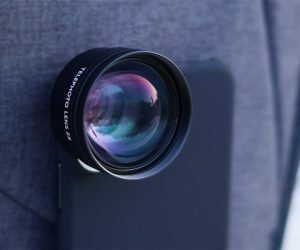 Upgrade both your photography skills and equipment without forking out loads of cash on a brand-new camera thanks to the Sandmarc Photography Lenses for iPhone. 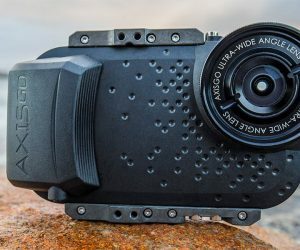 All bases–and angles–are covered thanks to their macro, telephoto, wide, fisheye and cinema lenses that arrive with filters, a sturdy mount, and universal clip. An affordable and admirable alternative to many of the established Moment lenses. 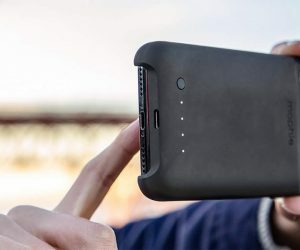 Store those easy to lose AirPods in style thanks to the NOMAD Rugged Case. 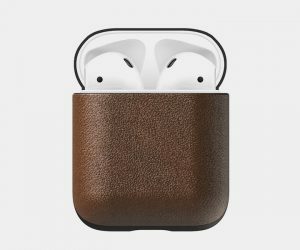 Available in brown or rustic black vegetable-tanned leather sourced from one of America’s oldest tanneries, not only do they offer protection form drops and scratches but boast a handy Lightning port to keep those buds charged. 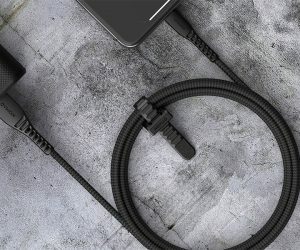 Forget frayed, or worse, wires that are FUBAR, thanks to the NOMAD Expedition Cable, a lifelong lightning cable with an inner Kevlar core that can support 220lbs. The outer braid’s also Kevlar, and it comes with a handy silicone rubber cable tie to fend off tangles, while the RF shield accommodates speedy data synching. This badboy’s quite literally bulletproof. 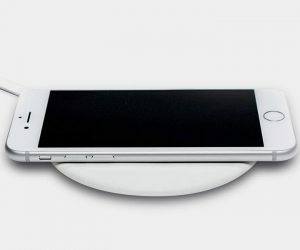 The ridiculously slim Peel Super Thin Wireless Charger might look like it’s in good need of a good feed, but it’s far from feeble in the power department. Good for iPhones and Androids alike, the soft leather-topped disc charges at 7.5-10w and can be selected in a hue to complement any surface.